The future is fiber. As fiber is slowly being introduced to regions across the nation, many business customers find themselves wondering how it differs from traditional cable and telephone connections and how it can improve their day-to-day operations. Fiber optic cable is the fastest form of internet and data transfer currently available for wide-scale usage—and it’s likely to eventually become industry standard. 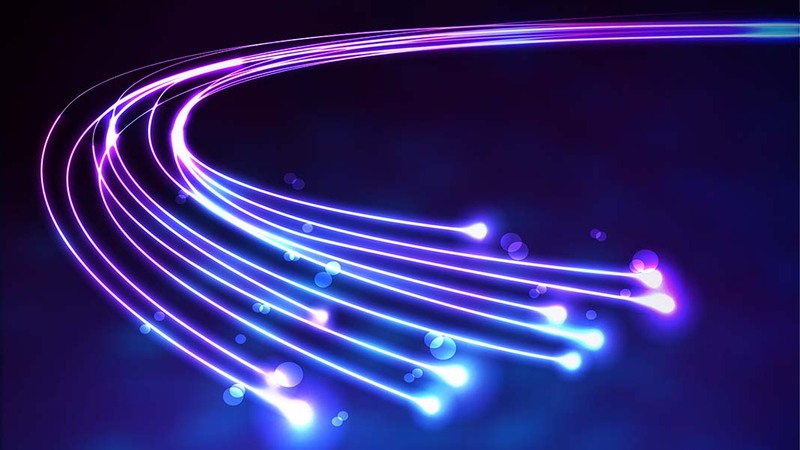 Here’s everything you need to know about fiber optics and its advantages over the competition. Fiber optic lines, on the other hand, use glass or plastic strands to carry light. Fiber optic lines were designed to transmit large volumes of data and can do so over extended geographical areas with increased levels of reliability and speed. However, there’s a catch: because fiber optic cable is a new technology, it hasn’t expanded to support every region yet. Instead, fiber optic cable is being slowly expanded across the nation city by city. Even slower fiber optic connections will still reach around 100 Mbps, which is comparable to some faster cable packages. However, even those high-speed cable packages won’t be able to meet the upload speeds of fiber optic connections, which tend to be much higher. As fiber optic cable is likely to become the internet infrastructure of the future, many cities are attempting to build out their fiber cable lines. For residential users, homeowners must be within a certain distance to a fiber installation to have fiber run to their home, if their home doesn’t currently support fiber. Due to this, homes with fiber internet connections may actually see increased value due to their fiber utilities. Understandably, it’s expensive to lay down new internet infrastructure. Companies such as Google have taken it upon themselves to expand their own fiber network at their own cost, but many other ISPs are still running on telecommunications and cable lines that were run by the telecommunications industry and the television industry—in other words, they have little interest in providing infrastructure on their own.